Manufactured For – Island Records Of Canada Ltd. Produced For – DJ Pooh Productions, Inc. Cassettes issued in fatbox. 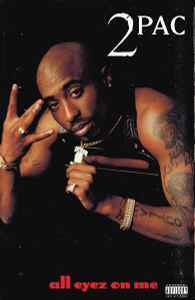 This version is different from All Eyez On Me, which was issued with black cassettes, and another catalog number and barcode. Complete, uncensored track titles taken from liner notes contained in the j-card.